We were just as shocked as you to find that these beautiful babies were not from Matches Fashion but from Forever 21. With an amazing deal and a luxurious structure, these can easily replace your favorite slides from last summer. 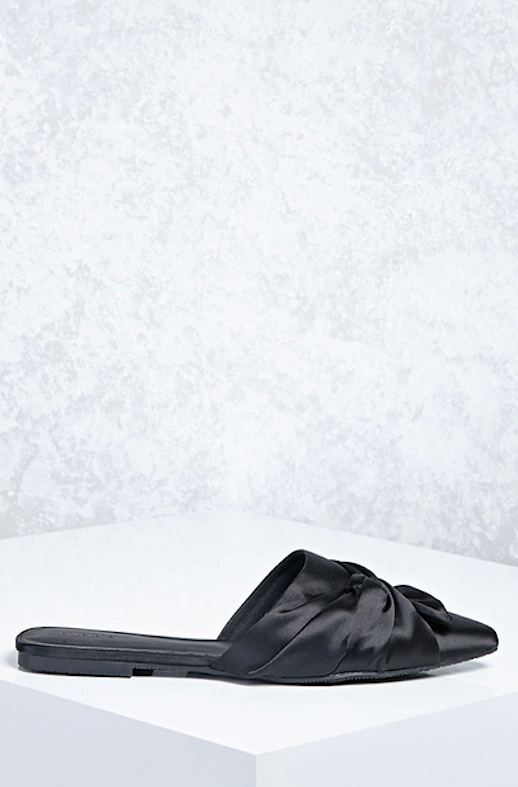 Not only do they have a satin finish but the knotted bow detail makes them darling and chic. Under $100 bucks? We'll have all of them!